A new, online application process is available for high school seniors who are the sons or daughters of Teamster members. Apply today atwww.jrhmsf.org for a college or vocational scholarship. 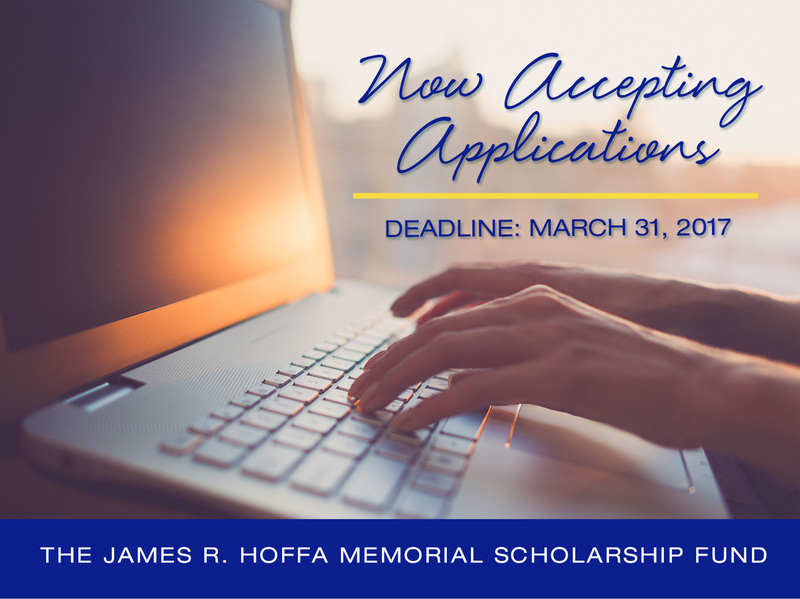 In 2016, the James R. Hoffa Memorial Scholarship Fund distributed $1.2 million in scholarship awards to the sons and daughters of Teamsters in the U.S. and Canada. This year, 2017, the Fund is committed to distributing $1.4 million, an increase of $200,000. We appreciate the support of our local unions and joint councils who have kept this scholarship the strongest in the labor movement. Register and access the online system here.